A classic and easy to carry anarkali silhouette with contrast hand dori embroidery and sequence grading. Fit wise: this look has a relax fit at waist. 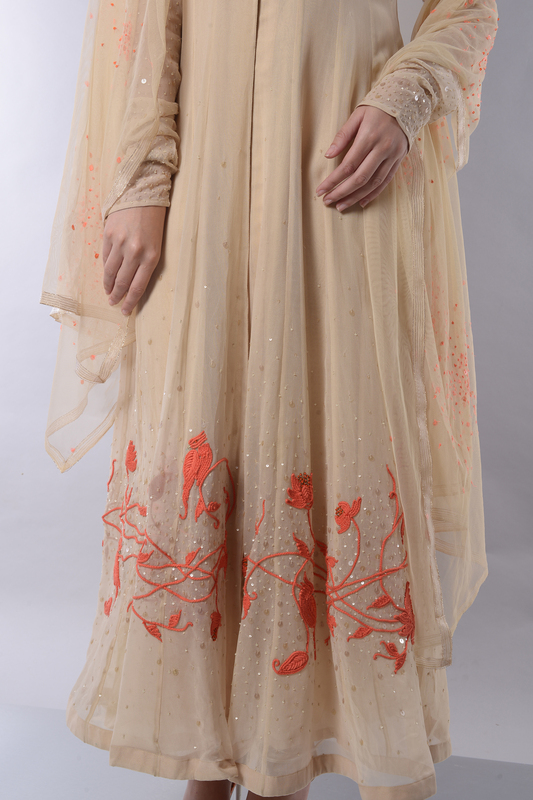 This style comes with matching churidar and embroidered dupatta .